Kit is prewired/ tested and ready to run. Just mount Photo Cell, Reflector, Wiring Bar and connect (4 wire cable) in MVO Control Unit. 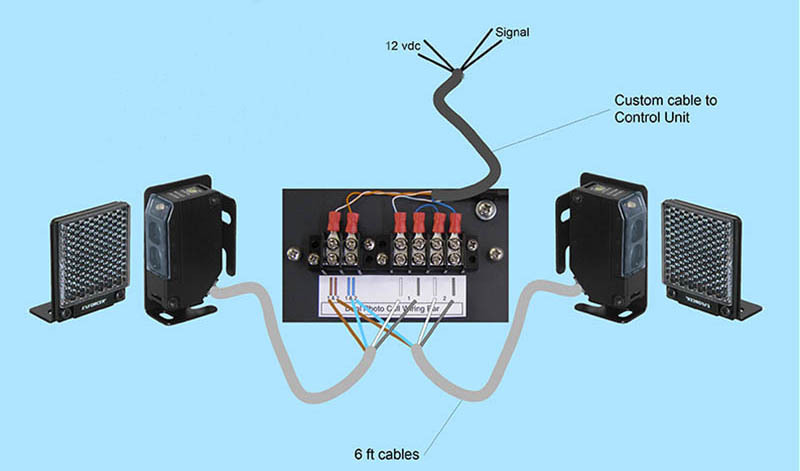 Just mount Photo Cells, Reflectors, Wiring Bar and connect (4 wire cable) in MVO Control Unit. If your moving roof is not high enough to clear your telescope at its highest position, a photocell should be installed to detect your telescopes position. It is absolutely necessary to detect that your telescopes location is in a safe/ parked postion, so that it will clear your moving roof. 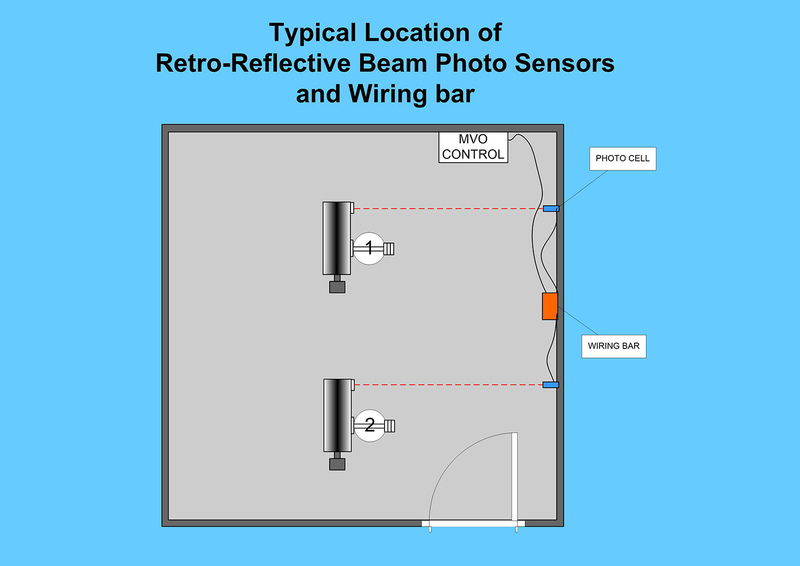 The MVO roof relay control unit already has wiring terminals to accept a Photo Cell Telescope Position Detector. 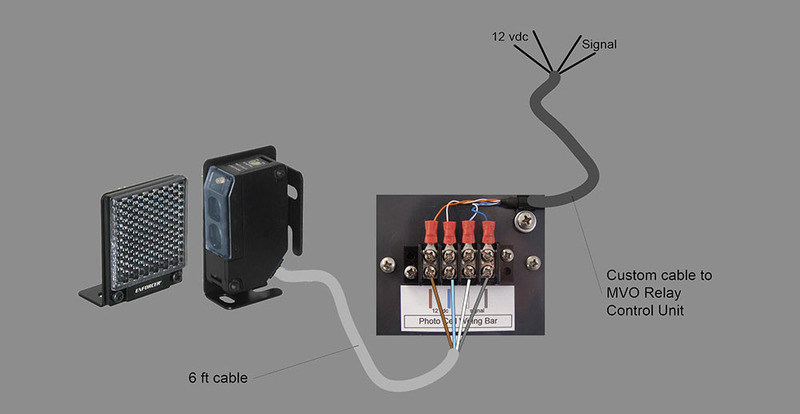 We provide prewired and tested kits ready to connect (only a 4 wire cable) to your MVO Roof Control Unit.